Valrico cosmetic dentists use dental crowns to solve a number of dental dilemmas. A dental crown is a strong, natural-looking permanent tooth restoration that covers the top of the damaged tooth. 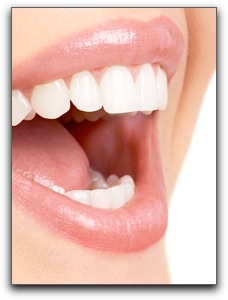 Before your Valrico dentist can attach the crown to your tooth, we must prepare the tooth. Valrico cosmetic dentists often apply a local anesthetic so you won’t feel pain during the prepping. Your dentist will remove decay, if any, and shape the tooth to receive the crown. Then a mold is taken of the prepped tooth and surrounding teeth. A temporary crown is then placed on the tooth to protect it until you return to your Florida dentistry office to receive the permanent restoration. The patient needs to be careful while wearing the temporary crown. Vigorous brushing or flossing can displace the crown or damage the exposed soft tissue. The Valrico dental crown patient should also refrain from eating extremely hard foods like nuts or sticky candy. The mold of your teeth is sent to a Florida dental lab where your crown is built. Dental crowns are fabricated in three varieties: tooth colored crowns made of resin or porcelain, porcelain-fused-to-metal, and solid metal crowns. Each type has its pros and cons. Your Valrico cosmetic dentist at Five Star Dental Care will choose the best crown material for your particular tooth. What if you need a permanent dental restoration for both the top and root of your tooth? A dental implant is your answer. For more information about complete dental restorations and other cosmetic dental solutions, call Five Star Dental Care at 813-653-2273 today. This entry was posted on Friday, July 22nd, 2011 at 5:29 pm	and is filed under Cosmetic Dentistry. You can follow any responses to this entry through the RSS 2.0 feed. Both comments and pings are currently closed.